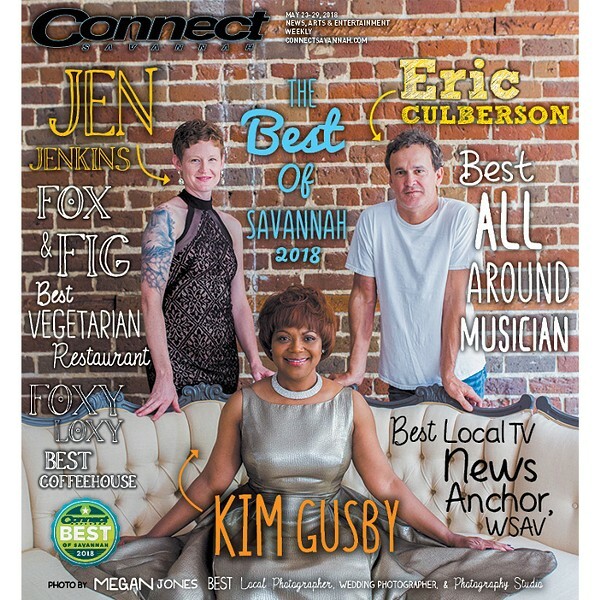 WE find ourselves once again at the culmination of our year with the annual, super-ginormous Best of Savannah Readers Poll special issue. See the quick links to the winners below. This year’s Magnum Opus is no less ambitious or expansive than in years past. and is by some measures the most wide-reaching one we’ve done since we began publishing in 2001. A lot has changed over the years, both with our city and with this publication. But one thing has stayed the same: Our Best of Savannah results are what our readers voted for, pure and simple. Over the years there has been, shall we say, a crowding of the marketplace when it comes to various best-of competitions and issues seeking to emulate our success and reader interest, sometimes quite brazenly. Some of the criteria for inclusion in other special issues around town can often be, well, a bit eyebrow-raising. Here, we like to keep it simple: We just count your votes. It ain’t rocket science. Of course, the collation, collection, and production of this special issue is a Herculean task each and every year. It’s already something of a minor miracle that our paper gets put together each week, given the David vs. Goliath position we are always in. But an effort this large requires even extra miraculous effort, and once again we’ve been able to pull it off. This year, we had lots of great help. And Asha Gilbert, a former intern with us from Savannah State University. As always, our incredible staff have all gone above and beyond the call of duty to put together this special issue. In my department, Anna Chandler and Rachael Flora both did heroic work contacting winners and writing about them, and shooting photographs. Our production department, comprising Art Director/Production Manager Brandon Blatcher and Graphic Designer Loretta Calhoun, turned this issue into the work of art that it is. Our fearless leader, General Manager Chris Griffin, was joined by our newest hire, Sales Representative Bucky Bryant, in holding up the business side, and Nicole Moore. Longtime contributing photographer and Connect bud Jon Waits (who you also voted Best Local Singer/Songwriter) did his usual excellent work for us, which you will enjoy throughout this issue. And distributing it all will be the great Wayne Franklin. As is our tradition, the reader’s pick for Best Local Photographer got to shoot our cover this year. Megan Jones turned her expert eye to photographing three noteworthy winners this year: Kim Gusby, Eric Culberson, and Jen Jenkins. We hope you enjoy this issue as much as we enjoyed putting it together.